Using one carefully chosen word each, you try to catch out the imposter. But when someone is this good at blending in, innocent people start looking guilty and the Chameleon can escape scot-free. 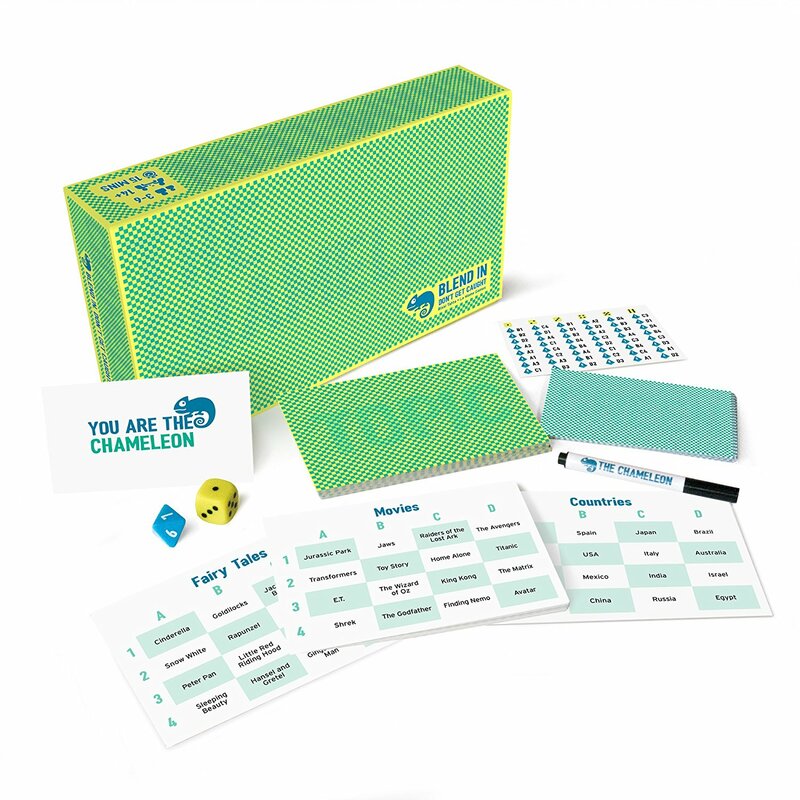 A bluffing deduction game for everyone. 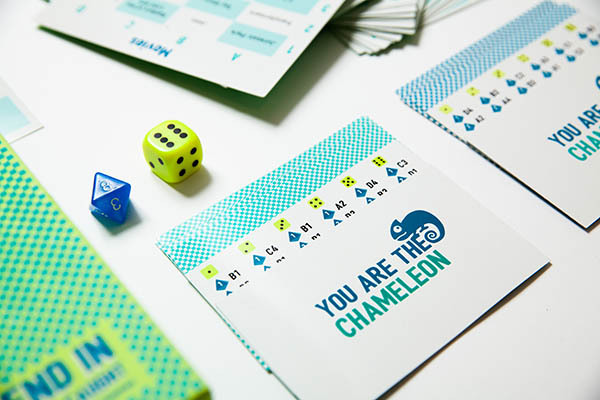 Each round involves two missions, depending on whether you’re the Chameleon or not. 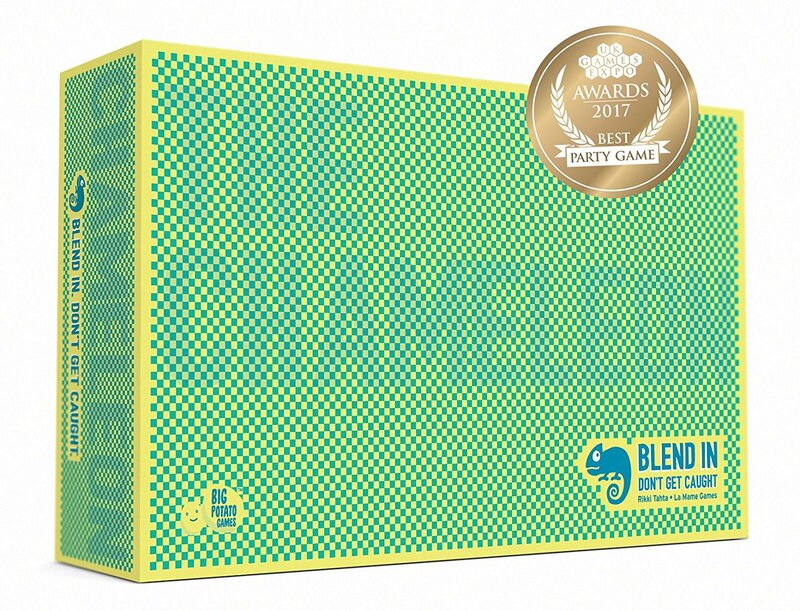 Mission 1: You are the Chameleon. No one knows your identity except you. Your mission is the blend in, not get caught and to work out the Secret Word. 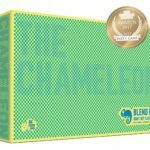 Mission 2: You are not the Chameleon. Try to work out who the Chameleon is without giving away the Secret Word. Each player must now say a word relating to the Secret Word. 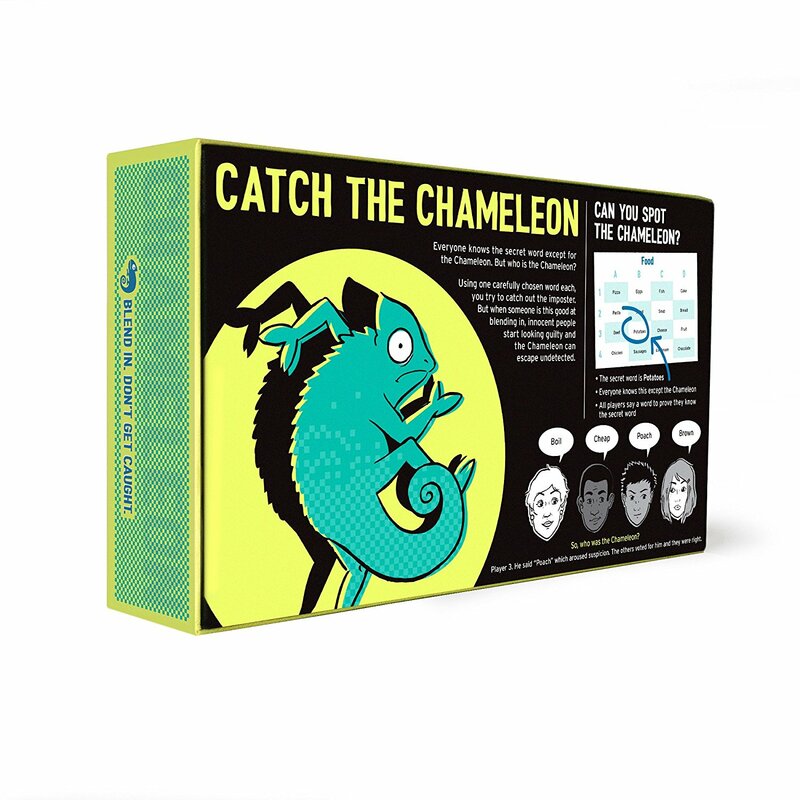 The Chameleon can only make an educated guess based on the 16 words in front of them.